No, don’t worry, you haven’t been asleep for a few decades and suddenly woken up in 2040. 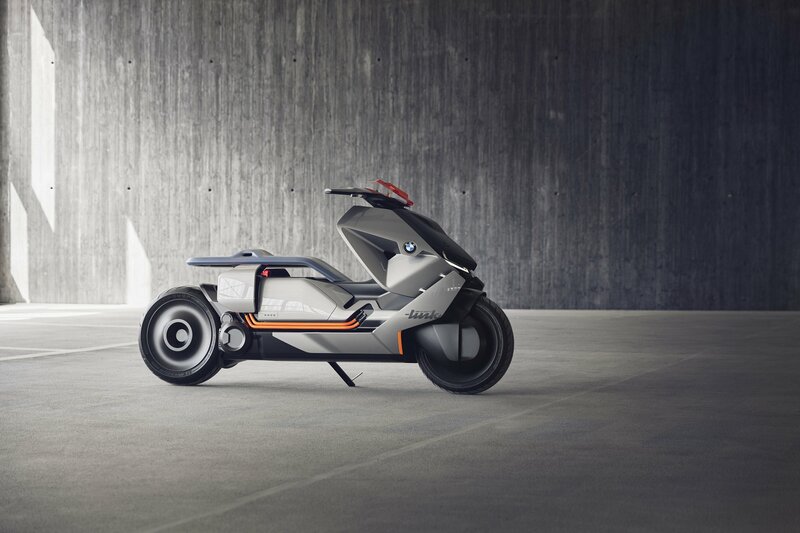 This is the BMW Motorrad Concept Link, the German motorbike manufacturer’s idea of an emission-free, two-wheeled future. 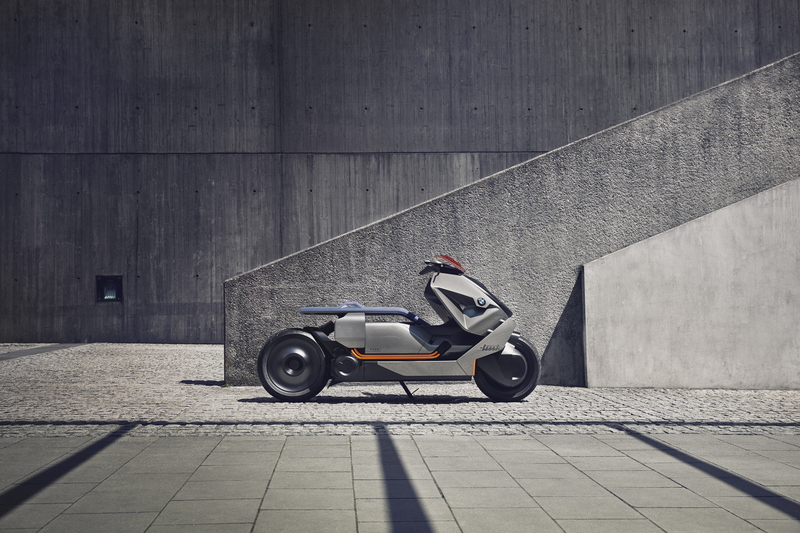 Unveiled over the weekend at the Concorso d’Eleganza Villa d’Este, the Concept Link apparently “unites digital connectivity with the demands of urban mobility”. 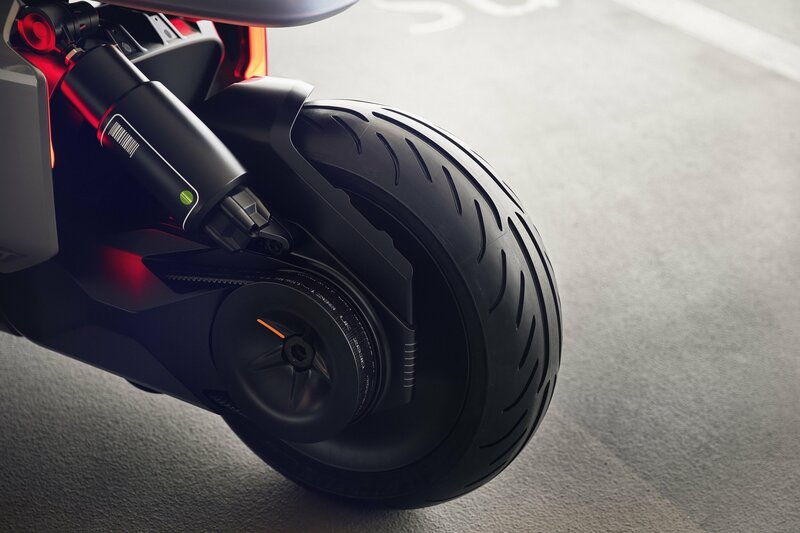 The angular design of the semi matt black body is finished with Liquid Metal Titanium trim, with colours angled diagonally to “underline the dynamic potential of the BMW Motorrad Concept Link”. 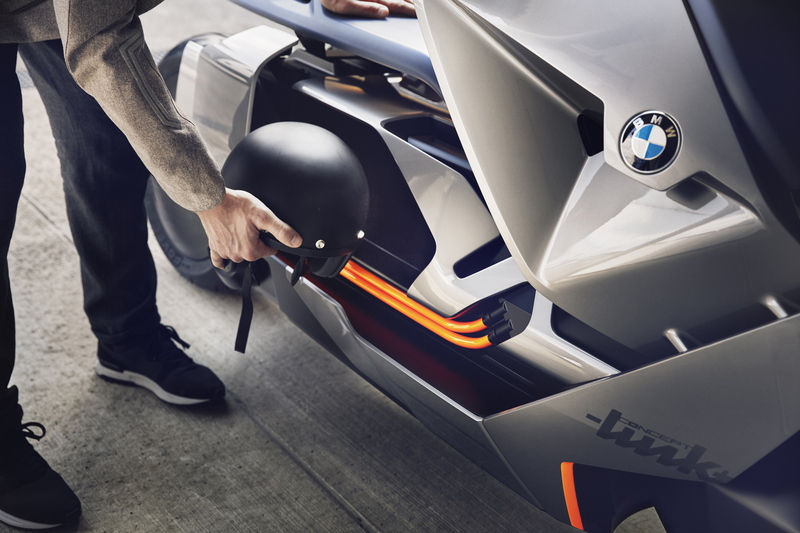 We can’t decide if the styling is up our street or not (the front end looks a little like a Sinclair C5) however, the tech that BMW Motorrad has packed into the Concept Link’s low-slung frame is undoubtedly impressive. An electric drive system provides instant acceleration allowing you to beat those pesky commuters in the traffic light grand prix every morning, while a reverse gear makes it easy to manoeuvre into tight city parking spaces. Catering for riders of all sizes, the bench seat can be adjusted forwards or backwards and there’s a luggage compartment housed underneath that can be accessed at all times via a sliding door. 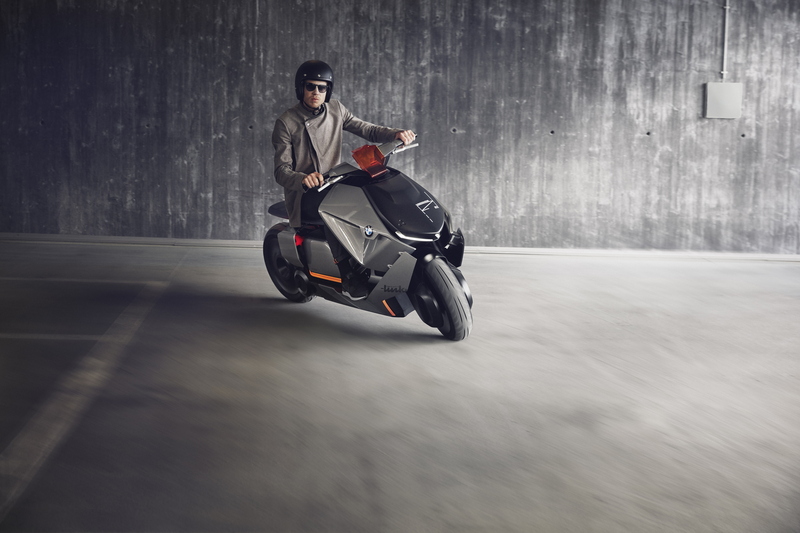 The futuristic bodywork doesn’t extend all the way down the concept scooter’s flanks, exposing parts of the drivetrain, single-sided swingarm and cooling ribs. The winged elements also help to improve the concept’s aerodynamic profile. 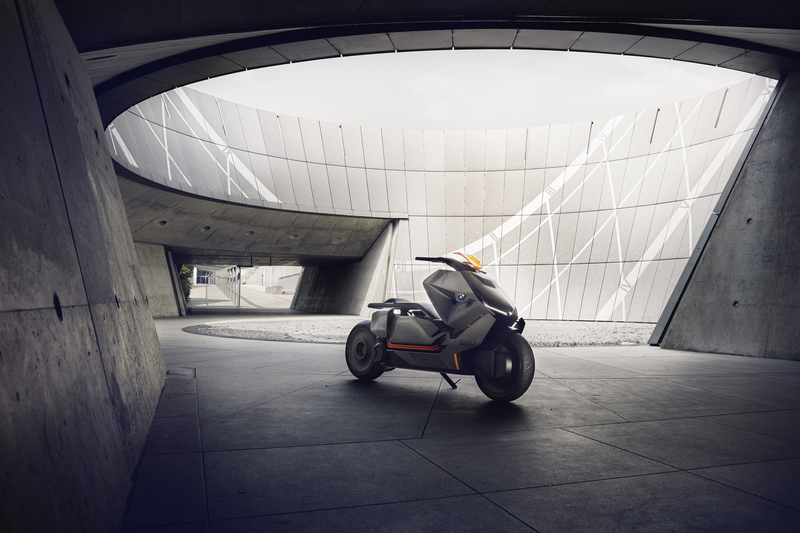 Like the majority of modern prototypes, the BMW Motorrad Concept Link puts digital connectivity at its heart. Knowing what’s in the rider’s calendar, the Concept Link can think ahead, planning the fastest or most scenic routes to your next destination. It can even play the most suitable music! 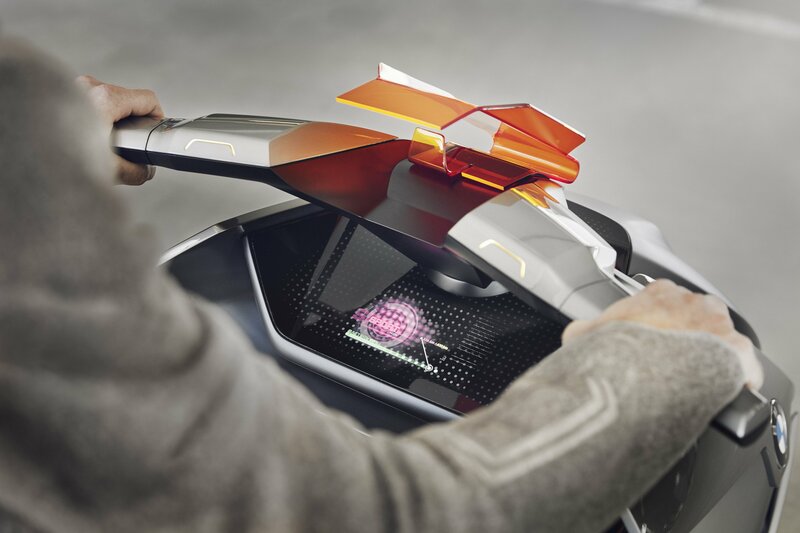 To help focus on the riding experience, the traditional instrument cluster has been dropped in favour of a head-up display, projected onto the windshield. This frees up space below the handlebars for a large, secondary touchscreen that can be used for controlling the various connectivity features and the infotainment system. There are even touch-enabled buttons on the handlebars that can be programmed to access frequently used functions without the need to take your hands off of the bars. 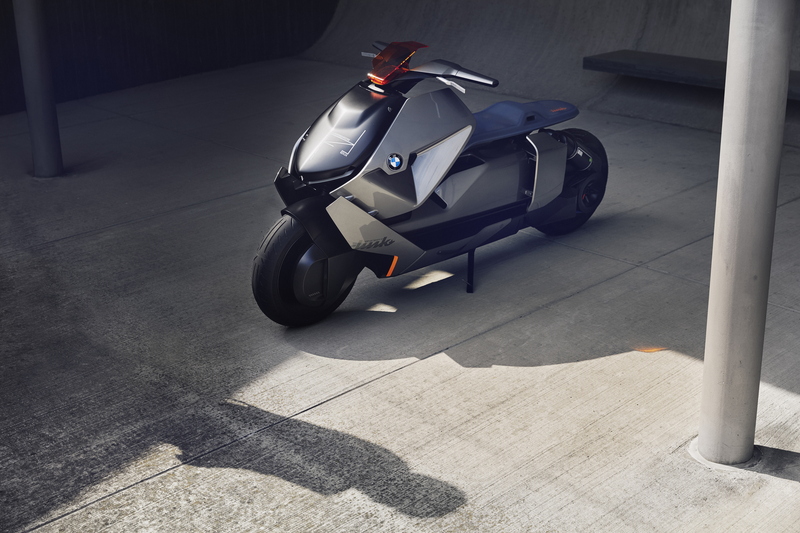 BMW Motorrad hasn’t just kept its vision of future purely to the bike though. It imagines the Concept Link being ridden in standard clothing that still packs in the protective features of bespoke bike wear. So, you heard it here first. 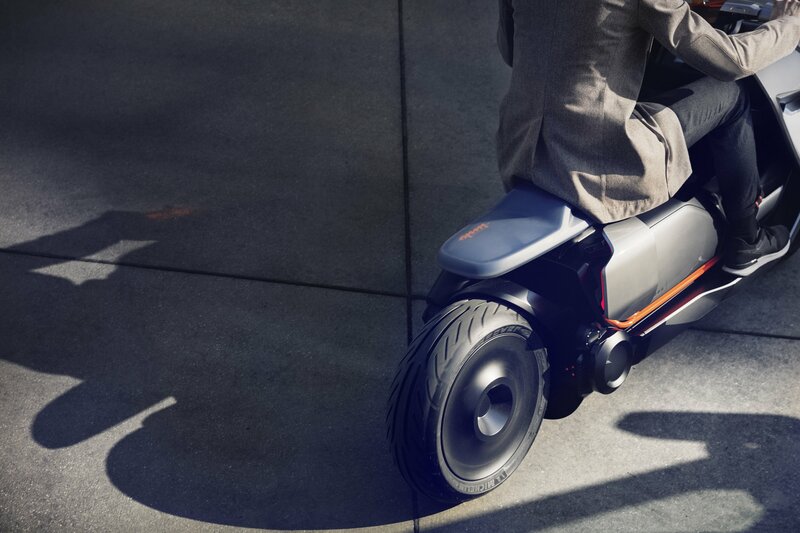 In a few decades time, we’ll all be riding around on electric scooters that can tell us the best route to our next appointment, all while wearing waterproof blazers with hidden elbow protectors. Cool.